Oh my stars, I loved this book!! Add Susan May Warren to your go to authors for a guaranteed fantastic read! I feel absolutely robbed that I have never read one of her titles before now. I read When I Fall in Love in two sittings and I was immediately desperate to read the books which proceeded it. When I make my list of books I truly loved in 2014, When I Fall in Love, will be at the top of the list! 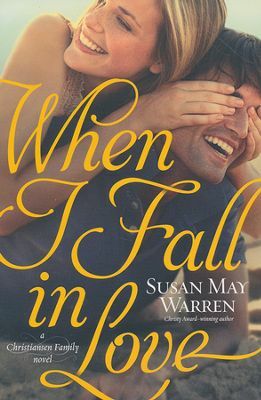 What I love about this book is the way Susan May Warren tells a believable and heart warming drama of two lives coming together. I had no problem diving in and feeling at home with the characters, their heartaches, struggles, and celebrations. I especially love the way Warren is able to tie in the faith of the characters in an authentic representation that never felt forced or unrealistic. Believe me when I say, this is a delightful book you will be glad you read. I was given a complimentary copy of this book by Tyndale House Publishers in exchange for an honest review. All opinions are my own and I have not been compensated.